Will Video on Social Media Replace Television? 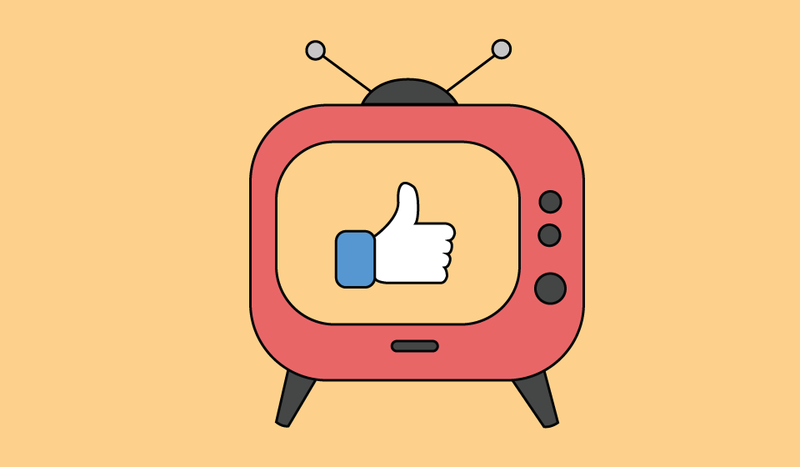 If advertising on TV is your thing, read this article to learn how the decline in TV viewership will affect your business and how you can use video on social media to engage with customers. Television viewership is declining steeply year after year, while more and more people make purchase decisions in their kitchens on a smart device. So, if we’re not watching TV, where are we watching video? It's not surprising that Netflix, Hulu and social media are the places we go for video. If you scroll through your Facebook feed right now, I’m guessing it’s at least 50 percent video (and probably at least half of that is composed of irresistible recipe videos you actually stop scrolling to watch). I’m not saying TV is dead, but if you’re focusing all your advertising efforts on TV and none on digital marketing, it’s time to start rethinking your strategy. Why is TV viewership declining? First of all, cable is expensive. Why pay so much for cable when you can binge watch your favorite show for the tenth time on Netflix for around $10 a month? And YouTube, Facebook Live, and Snapchat are all free (and heavily entertaining). Some people are hanging on to their cable packages, though mostly to watch sports. Social media is taking care of this too, though. Twitter has exclusive rights to NFL games, and Facebook has been working with MLB to stream baseball on television. Meanwhile, NFL TV ratings are sharply declining. I'm not saying your Facebook feed can compete with the whopping 111.3 million people who watched Super Bowl commercials this year. Still, the combination of social media and smart TVs is making it easier than ever to watch sports without paying for cable. With smart televisions and devices like Chromecast or Nvidia Shield, viewers can stream directly from Twitter or Facebook to their TV (without the hefty monthly payment). How can small businesses take advantage of the social media video trend? Video is going to be even bigger this year, and it’s time to start taking advantage of it. In case you missed our 2017 Marketing Resolutions blog post, we mentioned that 360 degree video, live video and video ads are good places to start with video marketing. And don't forget about trends. Are there any trends you can capitalize on right now? When Pokémon Go was sending us all into a Pokémon hunting frenzy, a bakery I follow on Facebook posted a video of their cookie decorator decorating Pokéball cookies. It seems as if there's a new trend every week. You shouldn't try to jump on all of them, but if a trend explodes and you can find a way that it relates to your business (like the Pokéball cookies) feel free to take advantage of the fad and create a short video featuring the trend! Share the video on your social profiles and engage your customers while having fun. Live video is hugely popular. 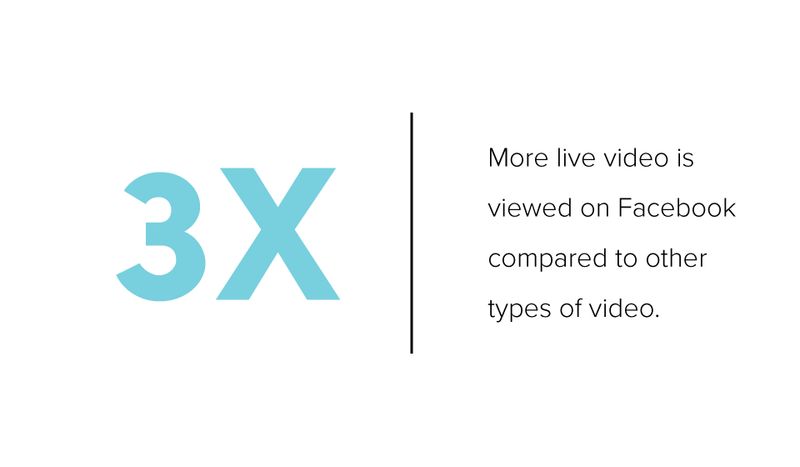 In fact, Facebook users watch three times more live video than other video types. Ready to get started with live video? Here’s what to do. If you’re hosting an event, go live on Facebook or Instagram. Give your audience a good idea of what the event looks like, how many people turned out and when the event will end. You can also go live to explain new products or services to followers. Give live tutorials of how to use your product or how to take care of products between services. Go live to answer frequently asked questions. Make it feel exclusive. Let followers know in advance that they’ll only get this information if they follow you on Facebook. Use live video to give customers a behind the scenes look at your business. Show your employees (or yourself) at work so they get an idea of what you do behind the scenes. Not only will this allow people to feel they’re getting a special sneak peak of your business, but it also helps validate your business and build trust. Our digital media producer, Molly Mickley, shared some tips with me for creating videos for social media. Here's what she had to say. "Using video on social media is a great way to communicate a personal message and connect with your followers. With the camera capabilities on smartphones, it’s easier than ever to create videos to share with your followers. "Handheld and live videos are great! They show a raw and personal side to your business, and viewers are loving that style right now. But, if you want to achieve a cleaner and more polished look, invest in a simple tripod and phone mount. Don’t forget to download a video editing app, to give your videos an even more polished look!" While video on social media doesn’t have to be as professional as a television commercial, if you have the budget, you could hire a videography company to create polished, commercial-like videos. There are plenty of uses for professional video online. You could feature it on your website or a landing page as well as social media (as an organic post or an ad) or YouTube. If your heart is set on making commercials, you could even have the film crew create something similar to a television commercial, but post it on social media, where you can track the video’s reach, view time, clicks and other important metrics. Let’s track offline conversions. For a week, ask every customer who purchases a product or service from you (or even calls you) how they found your business. When the week is over, tally up your top three marketing channels. How did TV stack up? The great thing about video marketing, especially live video, is that you don’t have to be super formal. Less polished, unedited live videos can build consumer trust. They show who you really are and what you do behind the scenes, giving your business a transparency your customers crave. But make sure your employees are aware that you are going to be filming a live video to avoid any on-air mishaps. Finally, don’t forget to have fun! Video is a great way to drive follower engagement, build relationships and maybe even increase sales, but don't get so caught up in the marketing side of video that you forget to show off a little personality.